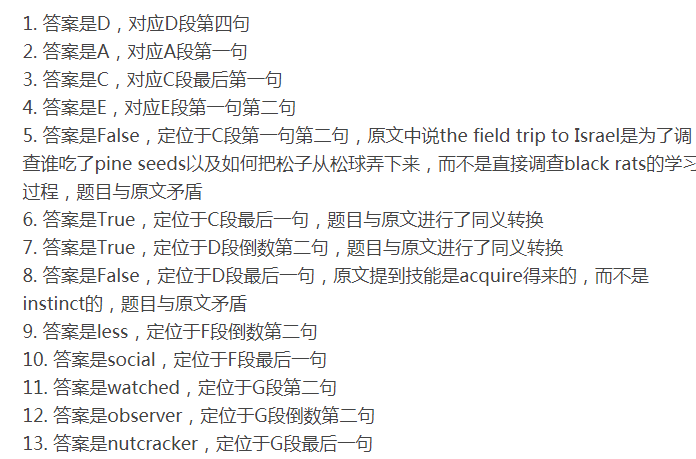 11. what is true about his horse range? 12. what do you need when becoming a member? 15. the shop in the center is selling? 16. what is not allowed to take when training? 17. what special service does it offer? 21-23. What are the three useful things that Bridget find about accounting? Frank finds the Japanese course is quite hard. the 26. lectures of the course made it time-consuming. He is trying to improve his Japanese accent. He enjoys learning 27. vocabulary, but 28. grammar and 29. writing are difficult. Teachers for Japanese course are very patient but 30. strict. 33. in the experiment, how do the scientist recognize the individual bees? 36. advantages: drivers can find instruments with the help of radar. 40. advantages: if there is water on Mars. Learning theory is rooted in the work of Ivan Pavlov, the famous scientist who discovered and documented the principles governing how animals (humans included) learn in the 1900s. Two basic kinds of learning or conditioning occur, one of which is famously known as the classical condition. Classical conditioning happens when an animal learns to associate a neutral stimulus(signal) with a stimulus that has intrinsic meaning based on how closely in time the two stimuli are presented. The classic example of classical conditioning is a dog’s ability to associate the sound of a bell (something that originally has no meaning to the dog) with the presentation of food (something that has a lot of meaning for the dog) a few moments later. Dogs are able to learn the association between bell and food, and will salivate immediately after hearing the bell once this connection has been made. Years of learning research have led to the creation of a highly precise learning theory that can be used to understand and predict how and under what circumstances most any animal will learn, including human beings, and eventually help people figure out how to change their behaviors. Role models are a popular notion for guiding child development, but in recent years very interesting research has been done on learning by example in other animals. If the subject of animal learning is taught very much in terms of classical or operant conditioning, it places too much emphasis on how we allow animals to learn and not enough on how they are equipped to learn. To teach a course of mine I have been dipping profitably into a very interesting and accessible compilation of papers on social learning in mammals, including chimps and human children, edked by Heyes and Galef. 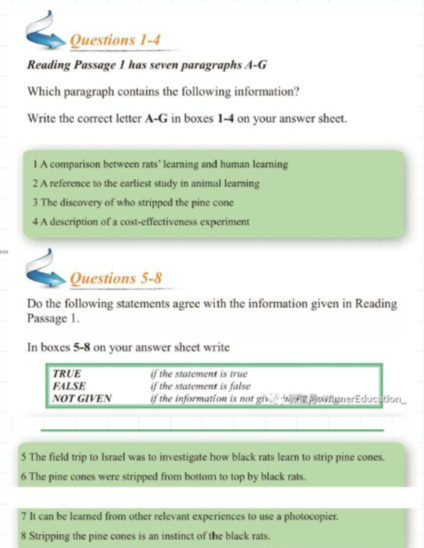 The research reported in one paper started with a school field trip to Israel to a pine forest where many pine cones were discovered, stripped to the central core. So the investigation started with no weighty theoretical intent, but was directed at finding out what was eating the nutritious pine seeds and how they managed to get them out of the cones. The culprit proved to be the versatile and athletic black rat (Rattus rattus)and the technique was to bite each cone scale off at its base, in sequence from base to tip following the spiral growth pattern of thecone. Urban black rats were found to lack the skill and were unable to learn it even if housed with experiences cone strippers. However, infants of urban mothers cross fostered to stripper mothers acquired the skill, whereas infants of stripper mothers fostered by an urban mother could not. Clearly the skill had to be learned from the mother. Further elegant experiments showed that naive adults could develop the skill if they were provided with cones from which the first complete spiral of scales had been removed, rather like our new photocopier which you can word out how to use once someone has shown you how to switch it on. In case of rats, the youngsters take cones away from the mother when she is still feeding on them, allowing them to acquire the complete stripping skill. A good example of adaptive bearing we might conclude, but let’s see the economies. This was determined by measuring oxygen uptake of a rat stripping a cone in a metabolic chamber to calculate energetic cost and comparing it with the benefit of the pine seeds measured by calorimeter. The cost proved to be less than 10% of the energetic value of the cone. An acceptable profit margin. A paper in 1996 Animal Behavior by Bednekoff and Balda provides a different view of the adaptiveness of social learning. It concerns the seed catching behavior of Clark’s nutcracker (Nucifraga Columbiana) and the Mexican jay(Aphelocoma ultramarine). The former is a specialist, catching 30,000 or so seeds in scattered locations that it will recover over the months of winter, the Mexican jay will also cache food but is much less dependent upon this than the nutcracker. The two species also differ in their social structure, the nutcracker being rather solitary while the jay forages in social groups. The experiment is to discover not just whether a bird can remember where it hid a seed but also if it can remember where it saw another bird hide a seed.The design is slightly comical with a cacher bird wandering about a room with lots of holes in the floor hiding food in some of the holes, while watched by an observer bird perched in a cage. Two days later cahers and observers are tested for their discovery rate against an estimated random performance. 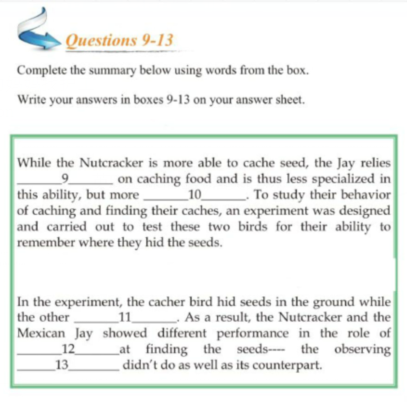 In the role of cacher, not only nutcracker but also the less specialized jay performed above chance; more surprisingly, however, jay observers were as successful as jay cachers whereas nutcracker observers did no better than chance. It seems that, whereas the nutcracker is highly adapted at remembering where it hid its own seeds, the social living Mexican jay is more adept at remembering, and so exploiting, the caches of others. GMT+8, 2019-4-25 11:59 , Processed in 0.121931 second(s), 30 queries .